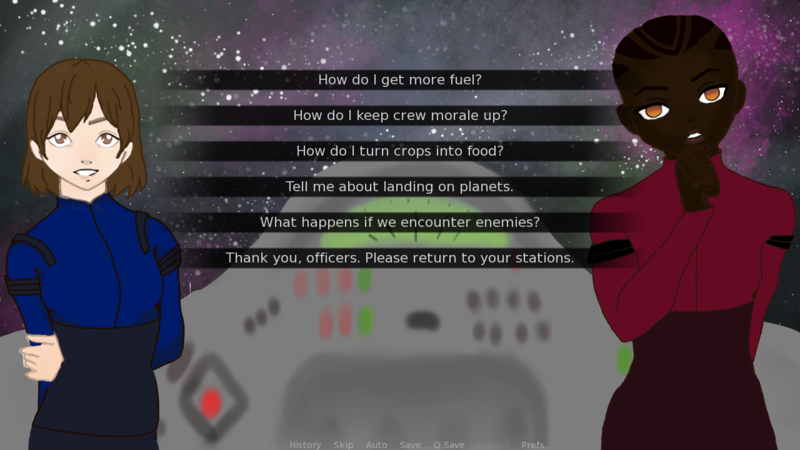 The crew of the only farming ship in the galaxy must find their way back to Earth... or die trying. 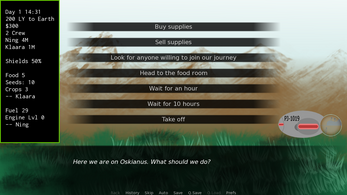 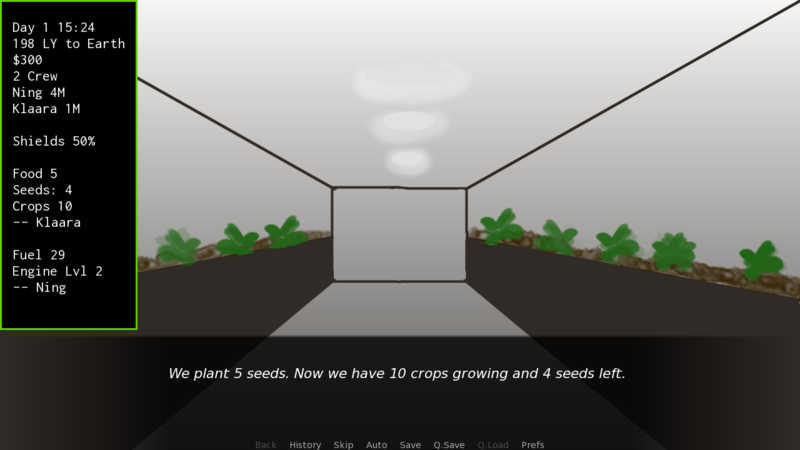 A pseudo-real-time visual novel farming simulator in space. Made for Ludum Dare 41 with art by Kate the Makeup Monster. 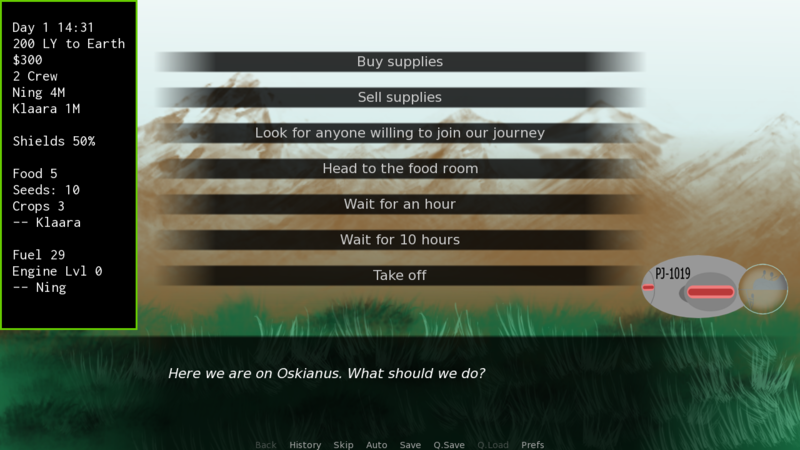 Download the Ludum Dare 41 version (0.0.7) below!